If you would like to be updated with the latest music videos both local and international, you’ve got to watch MYX. This music channel based in Quezon City targets young audiences who are greatly influenced with music as viewers. The good thing about this network is that the viewers can sing along with the songs because the lyrics are placed at the bottom of the videos as subtitles. There are so many music lovers who learned about the lyrics of the songs they love to listen to because of MYX. This is patronized by so many Filipinos around the world. MYX started in 2000 via Studio 23 owned by ABS-CBN. 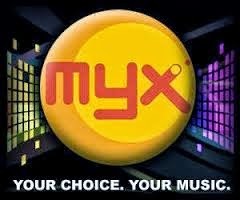 During that time, MYX can be viewed early in the morning and late in the afternoon. The timeslots are limited but in 2002, MYX can be viewed via cable in 24 hours time. MYX was based on a very popular Asian habit called karaoke wherein one can sing along with the songs with the lyrics flashed. MYX has VJs appearing in the television and they are the ones who are responsible for manning a particular program. Some of the famous past VJs were Rico Blanco, Geoff Eigenmann, Mica Froilan, Luis Manzano, Mike Advincula and many more. Today, the active VJs are Iya Villania, Nikki Gil, Chino Lui Pio, Sam Concepcion, Karla Aguas and Al Dela Rosa. MYX is not just a music channel but also an opportunity giver to the rising stars who would like to be discovered. MYX has a publication called MYX Magazine which is a bimonthly music magazine published by ABS-CBN Publishing. It was launched in October 2006. Because of this magazine, the fans and viewers of the said channel has the chance to know more about what is going on with MYX together with their favorite artists. Some of the most popular programs in MYX are MYX Backtrax, MYX Versions, Rock MYX, My MYX, Pinoy MYX, Pop MYX, Mellow MYX, Radio MYX, Take 5 and many more. MYX is truly an entertaining channel to those who would like to know what’s hot in the music industry. Because of Filipinos’ love for music, MYX has gained a lot of viewers nationwide.